While they might brag about “Famous Potatoes” on their license plates, anyone who has visited Idaho knows the state’s second claim, “The Whitewater State,” is just as accurate. 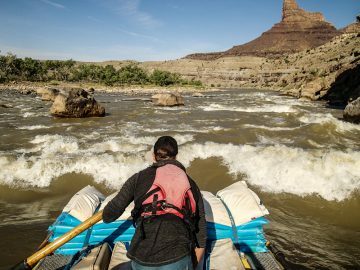 With the craggy mountain peaks of Wyoming, deep river canyons of Arizona, blue-ribbon trout fishing of Montana and the verdant forests of Oregon, Idaho is one of the union’s best-kept outdoor secrets. 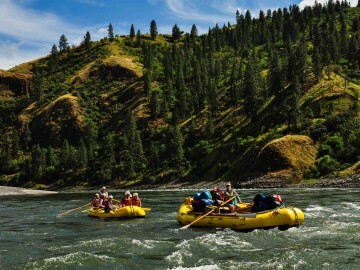 Your problem won’t be where to book your Idaho rafting trip, but which river to pick. Emerald LaFortune, a river guide and Idaho native, helps you narrow down the choices. One of the longest un-dammed rivers in the lower 48, the Salmon River is a big part of why Idaho is known as the whitewater state. From exciting Class IV day trips beneath the Sawtooth Mountains near Stanley to relaxing multi-day family trips through the epic Frank Church “River of No Return” Wilderness, almost all of the Salmon’s 425 miles are boatable. And since it’s free-flowing, the river can fluctuate from 90,000 cubic feet per second (CFS) to 3500 CFS all in a given season. Adrenaline addicts should plan their trips for late May and early June, whereas families and fishermen will have better luck (and warmer water!) in July, August and September. Speaking of anglers, if fishing is a priority for you, a day trip on the upper Salmon or a multi-day Middle Fork of the Salmon rafting trip shouldn’t be missed. Or, bring the whole family along on a Lower Salmon river trip and discover Idaho’s secret stash of small mouth bass. Fun River Fact: The Salmon River is named in honor of the Chinook and Sockeye fish that make the over 700-mile journey down the Snake and Columbia Rivers to the Pacific Ocean before swimming back to complete their epic migration. The solitude of the Selway River is unmatched by any multi-day whitewater river in the Lower 48. The Forest Service permits only one launch per day (alternating commercial trips and privately run trips) as the river cuts through the heart of the Selway-Bitterroot Wilderness. Expect crystal clear water, rising cutthroat, sandy beaches and amazing cedar-lined hiking trails. Similar to the Salmon, the Selway is un-dammed meaning spring flows (when snow melts out of the mountains) will be high, cold and rowdy. 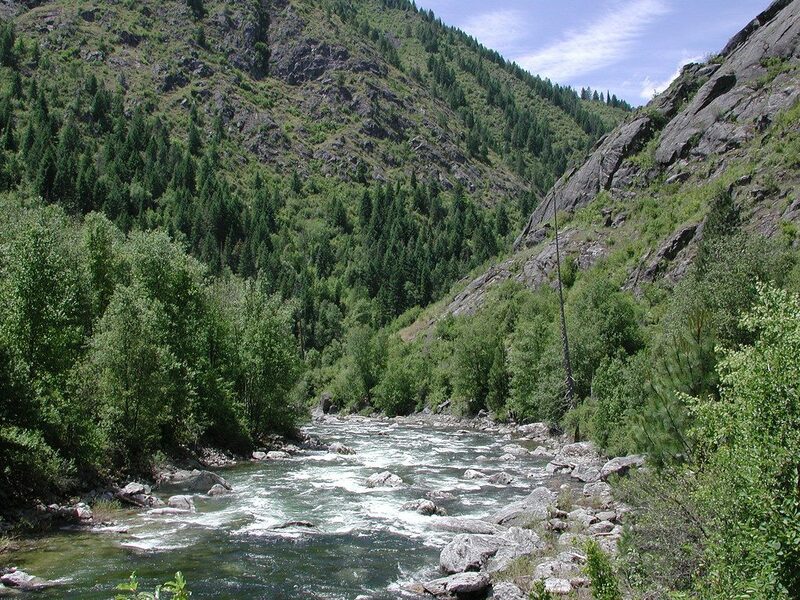 Fun River Fact: When the Wild and Scenic Rivers Act was passed in 1968, the Selway River was one of the first six rivers designated under the program. Combined with the neighboring Frank Church “River of No Return” Wilderness, the Selway-Bitterroot is the largest Wilderness complex in the Lower 48. 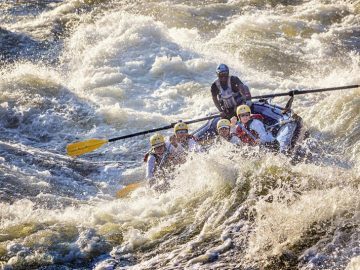 If the Salmon and the Selway are Idaho’s wilderness gems, the Payette is Idaho’s best whitewater playground. Located only an hour from Boise and boasting three daily stretches ranging from splashy and scenic to high adventure waterfalls, the Payette is a perfect addition to an Idaho road trip. 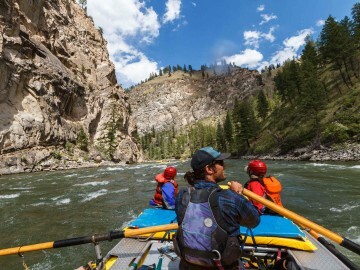 The Cabarton run on the North Fork is a great introduction to Idaho rafting while the more advanced Staircase and Canyon runs will have you tuned into that “all forward!” instruction from your guide. 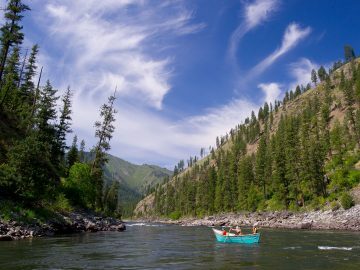 With emerald green water and beautiful canyon scenery, the Payette shouldn’t be missed and is a great bookend to a multi-day Idaho trip. 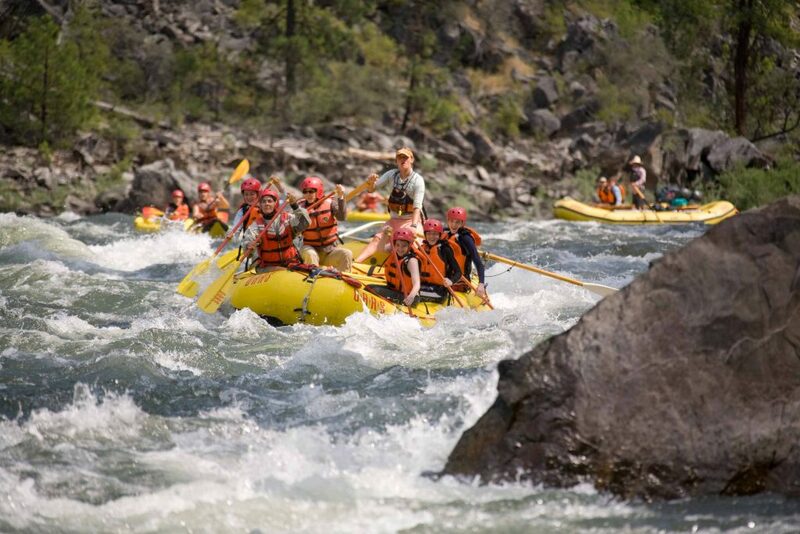 Fun River Fact: The Class V portion of the North Fork of the Payette is known as one of the most challenging river sections in North America. Only expert boaters attempt this wild and raucous stretch. Want to see world class paddlers in action? The North Fork Championship brings together the best kayakers in the world for a weekend of competitions that are easy and fun to watch. If the Payette and the Selway were blended, they’d look a lot like the Lochsa River. Boatable only in the spring during high water, the Lochsa boasts some of Idaho’s best rapids, all along scenic and historic Highway 12. Rapid names like “Grim Reaper” and “Terminator” say it all. This is a trip for the adrenaline addicted! 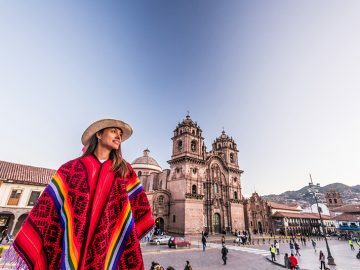 If boat-flipping waterfalls aren’t quite your cup of river tea, act as trip photographer or explore nearby hiking trails and natural hot springs. Fun River Fact: Lewis and Clark traveled through the Lochsa River canyon in mid-September of 1805. Travel over the Lolo Trail was rugged and early snowfall left the expedition near-starved by the time they reached the Weippe Prairie to the West. Been craving the big water, epic canyon feel of the Grand Canyon? There’s no need to travel to Arizona. The deepest gorge in North America, Hells Canyon has rugged scenery, prolific bass fishing and some of the best whitewater in the state. 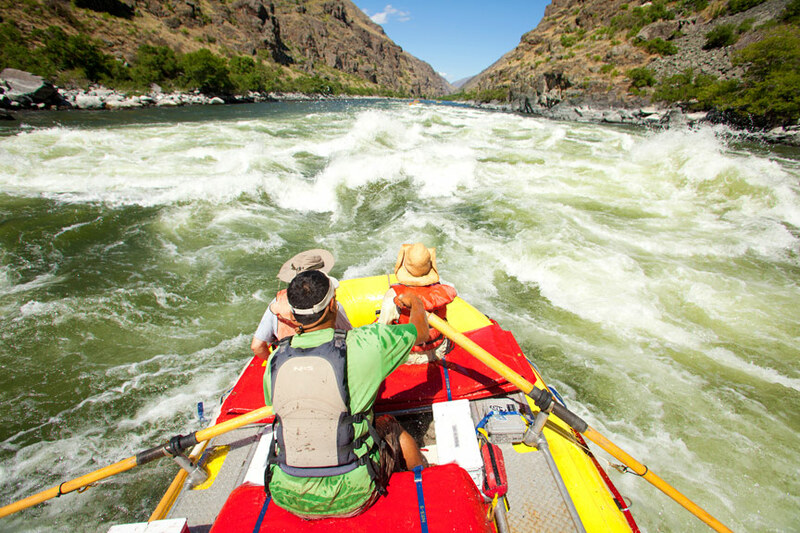 Utilized by the Nez Perce and the Shoshone-Bannock for thousands of years, the Hells Canyon stretch of the Snake River also has one of the richest human histories of any of Idaho’s river canyons. 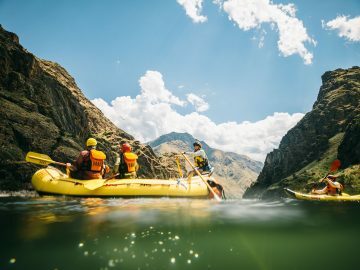 From its original occupants to gold miners and homesteaders, and later, the pioneers of whitewater rafting in Idaho, you’re sure to hear a ghost whisper or two on a Hells Canyon rafting adventure. Being dammed, the river has more consistent flows than its wild counterparts to the east. But it isn’t named “Hells,” for nothing. For folks who love desert temperatures and lots of swimming, July and August are prime. For those who prefer their climate more moderate, the verdant green and wildflowers of June aren’t to be missed and sipping wine watching a September sunset on Hominy Bar is as close to “heaven” as you can get. Any other Idaho favorites? Tell us about it in the comments below. And don’t forget to check out our almost Idaho favorites, the Owyhee River (Oregon) and the Alberton Gorge of the Clark Fork (Montana).